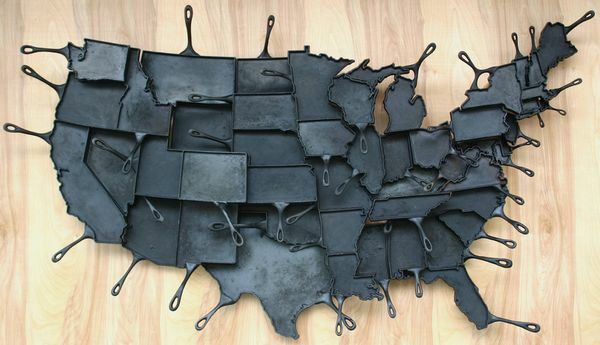 We fell in love with the cast iron state shaped skillets as soon as we saw them for the first time. The American Skillet Co., located in Madison, WI, specializes in the making of cast iron skillets, and we are proud to sell them at our store. Their USA made (and WI made) skillets are the perfect pan, so versatile, and so fun to use. Here is a recipe the guys at The American Skillet Co. posted on their website, and we think this is going to be DELICIOUS. Send us a photo if you try it! Yummy! In a bowl, beat together the eggs, salt, pepper and reserved milk until well blended. Arrange the bread in the skillet. Set some asparagus tips aside and then top the bread with the remaining asparagus and the mixed herbs. Sprinkle the cheeses over the asparagus. Pour the milk-egg mixture over the top, and dot with the butter. Bake until the top is crusty brown and a knife inserted into the middle of the pudding comes out clean, about 30-40 minutes. Check on it. During the last 5 minutes of cooking, top with the reserved asparagus tips. Let stand 15 minutes before serving. 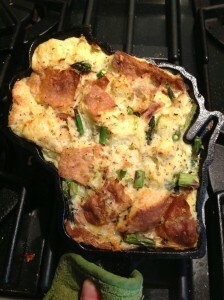 Last week we featured a Mac & Cheese Recipe by The American Skillet Co. on our FACEBOOK page. It got lots of attention, you should check it out! And when you are there, take the time to like our page, we are always posting about amazing kitchen gadgets, recipes and much more. Oh, and if you do cook any of the recipes we post, please post a photo of them on our Facebook page, we would love that. Door County looks incredible this Fall. The colors so vibrant, so beautiful. Many shades of orange, yellows, intense reds. And the leaves keep falling, a sign of the changes we are about to endure. But before the cool season sets in, take the time to slow down a bit, enjoy the scenery, and get ready for Halloween! 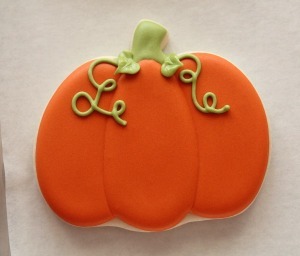 This year we have decided to focus on the ultimate Fall/Halloween cookie: the Pumpkin Cookie. 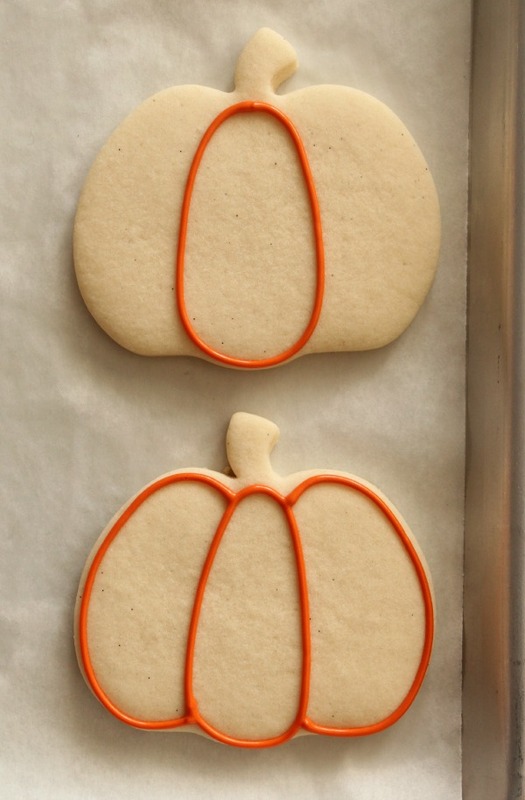 Yes, we know, there are a lot of funny, scary, unique cookies out there, but the Pumpkin IS the symbol (and the charm) of this time of the year. 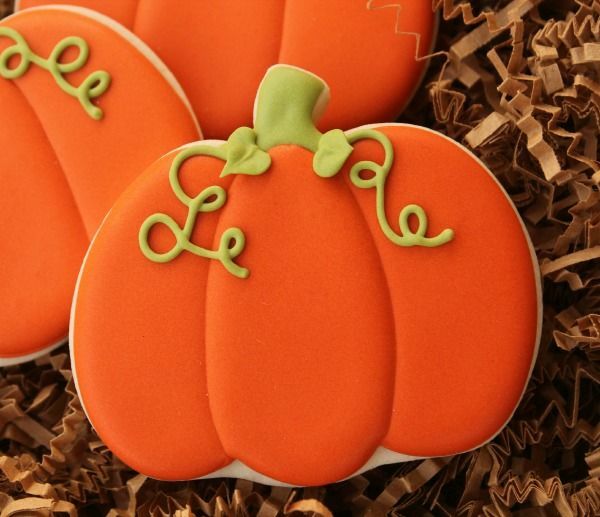 When we came across this perfect pumpkin cookie, we knew we had to share it with you! To start, make your cookies! Cream sugar, egg, and butter. Stir in vanilla. Dissolve soda in milk and add to creamed mixture. Mix flour, salt, and nutmeg together, stir into creamed mixture. Cover and chill about 2 hours or overnight. Roll out dough on a flour surface. Place cookies about an inch apart. 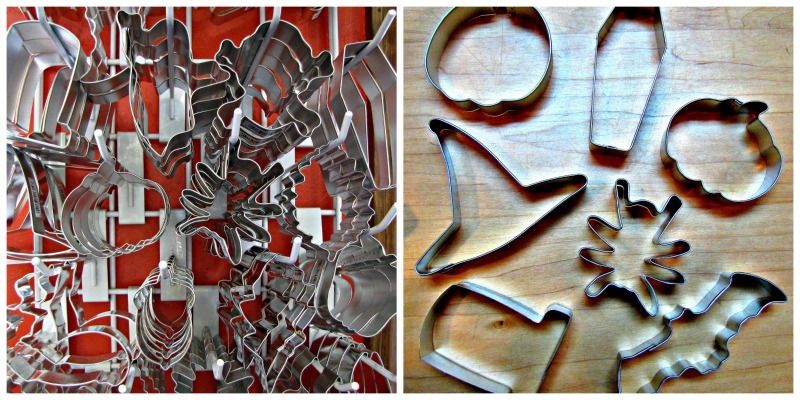 We LOVE our USA made cookie cutters by Ann Clark Ltd.! Strong and durable, they make the perfect cookie and last for seasons to come. Next step: decorating the cookie! We are about to make the perfect pumpkin cookie, and we thank the staff at sweetsugarbelle.com for this amazing and simple tutorial. Pumpkin orange piping and flood icing and green piping and icing. If you would like tips on how to make royal icing for piping and flooding cookies, watch this video here. 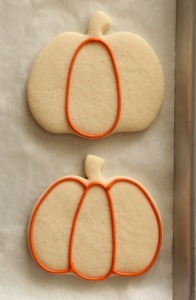 Begin by outlining the pumpkin segments as shown below. 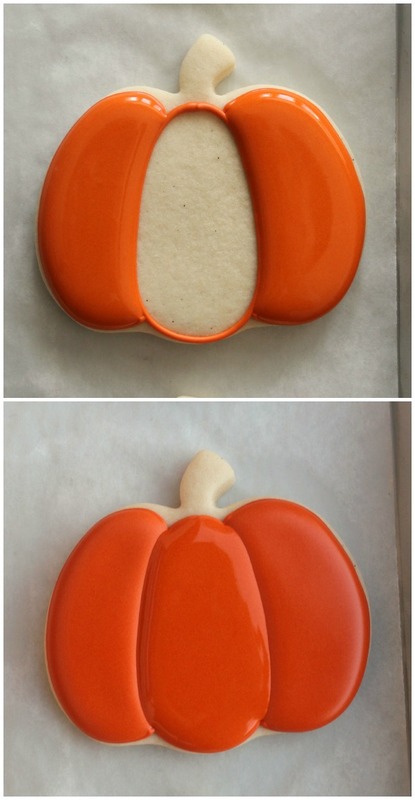 Divide the pumpkin into three sections, but this can vary. Next, fill alternating sections with orange icing. To create dimension, wait a few minutes before moving to the next one. Use green icing to add a stem. To finish up, add a couple of vines and leaves. We want to wish you a wonderful orange season, and no matter what you do, have fun, enjoy your loved ones, and of course, eat lots of treats!